The Industrial Collection is inspired by the design of classic industrial lamps. 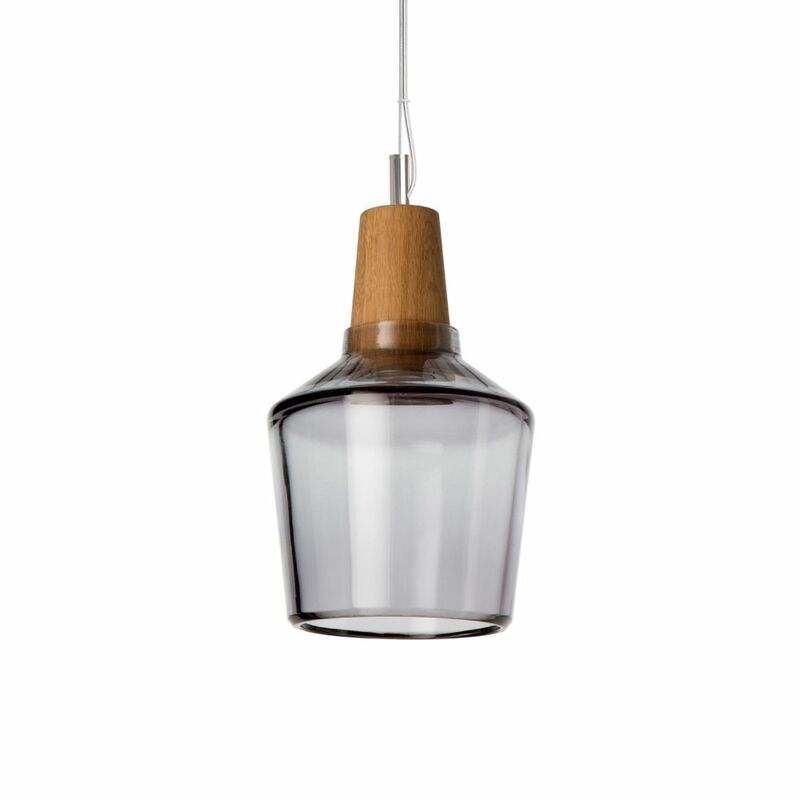 Mouth blown crystal glass combined with turned oak wood perform well together. The principle is simple: The glass shade is beeing supported by a wooden cone that accommodates the LED light source and the technical components. Switched on arises a precise cone of light - a comfortable direct lighting without glare. The glasses of the Industrial Collection are hand made. Unlike industrially produced glas this inevitably leads to individual variations. The material thickness always varies which may cause that the shade does not suspend exactly horizontally. This is no sign of inferior quality, but of traditional manufacturing and underlines the individual character of the lamps. All three shapes can be combined for extra effect. You can select between two versions: clear and anthracite colored crystal glass. Please note: All dreizehngrad lights are build in accordance to German regulations, this means all cables, switches and plugs meet the the German guidelines. For the use in other countries maybe adapters are neccessary.